5 WAYS TO...FRESHEN UP FOR SPRING! After a long and rainy winter, I think it is finally fair to say that Spring has arrived! What better way to bring it in than filling the house with some fresh life. I've rounded up my top five ways to freshen our kids' spaces and home for Spring. 1. Fresh flowers: There is something about bringing flowers into the home that clears the air and makes the room feel new again. These ones from Landeau are a total indulgence (they were a gift!) but a table can even be transformed with flowers that you have picked along a walk and kids LOVE helping to put them into vases, especially in their own rooms. 2. Fresh pillows: I love changing out the throw pillows in the kids' rooms and adore these ones from Anthropologie! Swapping out simple accessories like pillows makes the room feel new again. 3. Fresh air: Once the outdoor temperatures are well above zero, open up the windows to let in some fresh air, even for 10 minutes. This boost clears the house of stagnant air and makes the whole place feel fresher. 4. Fresh linens: Flannel sheets are cozy for wintertime, but once spring arrives (or even before), change to light weight cotton in a fresh print to give a new lease of life to the kids beds. This new Jamie Kay blanket is perfect; 100% cotton and so cozy! 5. Fresh art: Sometimes all it takes is swapping out the photo in the frame. 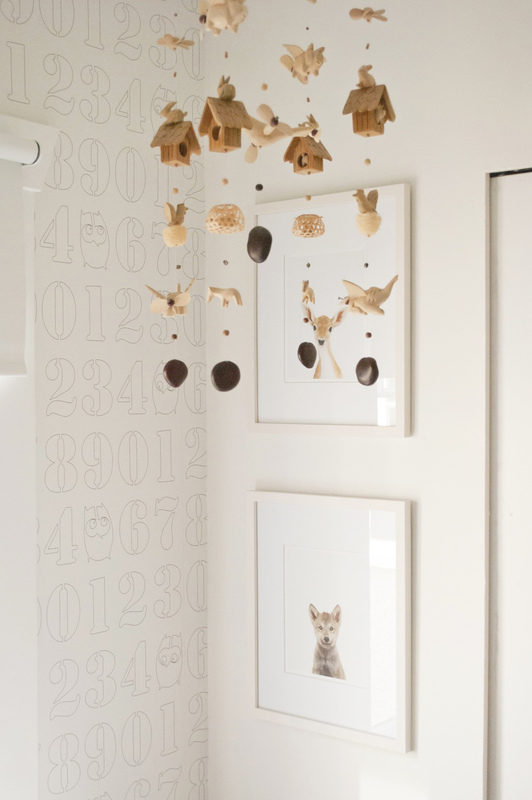 A few new prints can go a long way in making the kids feel new inspiration for play in their rooms or playrooms. These ones from The Animal Print Shop will always be some of my favourites; they were the ones I loved most for my son Xavier's room and also because I've never met a child who doesn't love animals! What are your favourite ways to freshen up for spring?